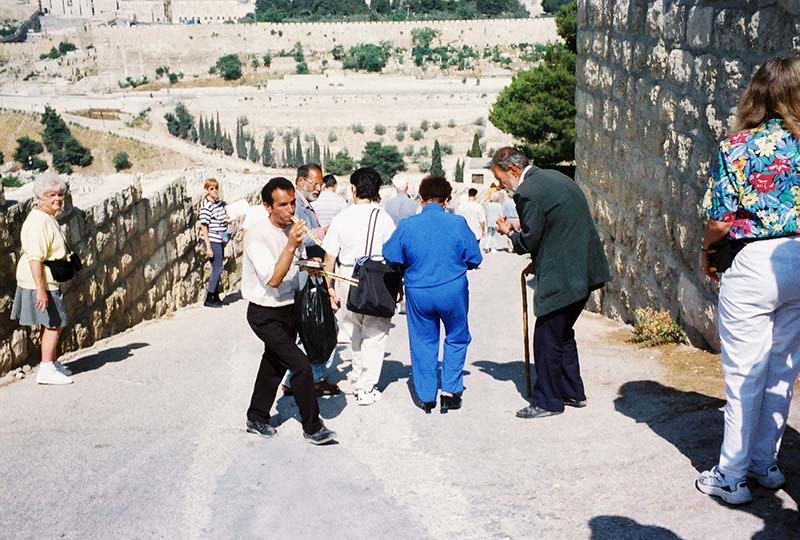 We continue to follow in Jesus’ footsteps down Palm Sunday Way into the Kidron Valley, passing vendors and beggars. 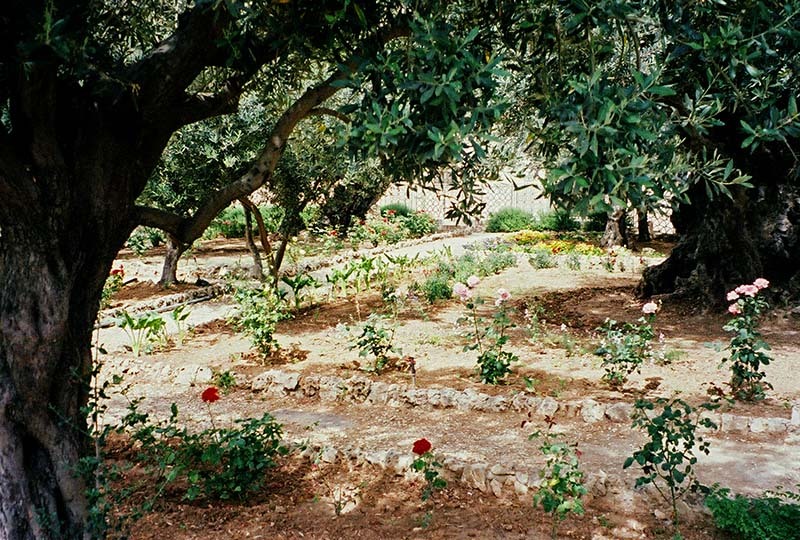 Soon we arrive at the Garden of Gethsemane, near the bottom of the Mount of Olives. The olive trees here have root systems that date back to the time Jesus was here.